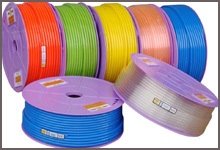 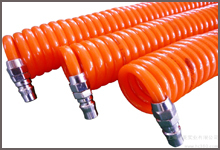 Polyurethane pneumatic tubing is made from the highest quality, 100% virgin raw materials available. 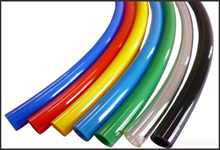 Although 95A Durometer is the hardest compound used for polyurethane tubing, it is still flexible and has a smaller bend radius (without kinking) than most other plastic tubing. 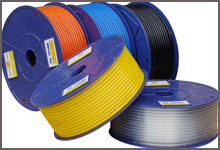 Produced from raw materials that resists moisture, fungus, abrasion and a broad range of chemicals making it a popular choice for many applications. 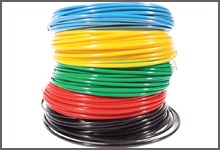 Ether-based polyurethane tubing won’t hydrolyze or break down with prolonged contact with water, provide excellent hydrolysis, oil and cold resistance. 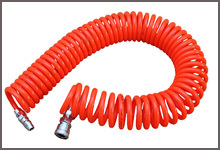 With high kink and abrasion resistance, outstanding flexibility, and incredibly small bend radiuses, pneumatic polyurethane tubing is extremely versatile. 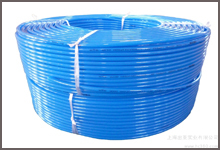 It is highly resistant to chemicals, water, fungus growth, as well as many fuels and oils. 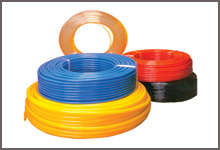 Ester based Polyurethane tubing has outstanding characteristics compared with other pneumatic tubing. 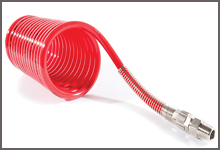 This tube is extremely flexible and offers excellent bend capabilties making it ideal for pnematic control or robotic systems.